The three day weekend seems to be the new American tradition and I and my daughter have very special plans. Unfortunately, the tradition seems to be accompanied by a new one that calls for lots of social media shaming. In various encounters I’ve seen individuals attacked for wishing a “happy” holiday, which doesn’t properly honor or comfort the fallen. (Its never affects me directly, as a Marine veteran from a double gold star family I’ve got enough street cred to avoid that crap.) While the desire to remember veterans on Memorial Day is good, public shaming on social media is a very shallow way to do it and misses a very important point about freedom. As I’ve discussed, the wars in Afghanistan and Iraq as well as the continued efforts in the War on Terror increasingly fall on small number of people and families. Unlike the immediate aftermath of the mass draft in World War II and Vietnam, according to sources less than one percent of Americans currently serve in the military. This relatively heavy burden on a relatively small population means that many Americans want to honor service men and women, but don’t know how. This disconnect often forces people beyond praise into un critical hero worship. Combined with a culture that often involves hi tech lynchings, venting rants, and skewed realities based on social media, this sometimes lead to people policing and shaming others for their apparent disrespect for the military. A true respect and value for the military would mean a person researches and works hard to ensure service men and women are properly trained, equipped, and deployed across the world. This true respect requires a good deal of reading, research and thought, but very little social media use. Facebook posts shaming others for barbecuing on Memorial Day is a shallow and frankly pathetic attempt to honor the troops. It’s like trying to fight terrorism by putting a French flag filter on your Instagram profile, or trying to save kidnapped women by tweeting a hast tag. More important than how somebody honors the troops, is having an appreciation of the fundamental freedom for which the military fights. America is so amazing that it even grants the freedom to its citizens to burn its flag. That freedom also includes not honoring veterans on Memorial Day Weekend. That is not particularly grateful behavior, but true freedom doesn’t force people into honoring it or the soldiers that sacrificed for it. With the holiday weekend arriving, I would remind those tempted to shame others on social media for not showing sufficient respect, that barbecuing and enjoying the holiday with family is a perfectly acceptable way to use the freedom that so many fought for. So feel free to celebrate the holiday weekend however you would like. Personally, I enjoy the free hot dogs and soda at the local furniture store. I hope your celebration includes remembering the fallen servicemen and women, but I hope even more that you take the time to appreciate the freedom they fought for by spending time with your family in peace. Greetings! This is a quick post showing some of the recent success I've had. I write full time for Opslens magazine, but I often have articles that are picked up by the Washington Examiner, and sometimes by Fox News. I was always a bit worried about writing articles that are overtly political. I don't like to be a partisan hack. But I think you'll notice that I focus more on explaining concepts clearly and applying more reason and thought to the articles. In fact, one of my articles explicitly attacks the reliance upon emotion and the need for more thought, so even though these posts are political, I think they are more thoughtful and less shrill than much of the material out there. Could China Sink a US Carrier? : A fun post that summarizes much of the research I've done into missile defense. In fact, my very first article for Strategy and Tactics Magazine discussed the so called "carrier killing missile,"so I have a ample experience and a good foundation and tool box of knowledge for discussing this topic. Fighting Obama Care doesn't mean you wish death upon those in need: This was an article inspired by Debbi Wassermen Schultz's defense of Obama Care by citing her cancer stricken mother. (It was for the now defunct Arsenal of Venice, when I tried to launch my own free lance website.) Of course this was from several years ago, but Jimmy Kimmel ended up doing the same thing when he talked about his son's emergency medical treatment. All of the points I made still applied, so I simply changed a few sentences specific to Schultz. I really enjoy the cover, the publisher had difficulty getting the rights to the other image and a high quality version of it. This was a pretty good week for my writing and I'm happy to share it with you. Ironically enough, on facebook last year I wrote a pretty frustrated post about nobody giving me time of day and ignoring my work. But here I am a year later with a regular freelance writing gig, another book coming out, and regularly being picked up by the Washington Examiner. Thanks for reading and I hope you enjoy the articles and buy my book when it comes out! Greetings everybody. I wanted to give you some updates on my research. The major blog By Common Consent started a new press. This is very exciting news as the Mormon publishing world is very small. I've been waiting to hear back from the major publishers, but another one sounds like a great place to publish my second text on warfare in the Book of Mormon. You can read more about it here. (Though I've added an extra chapter since then based on this material.) I understand BCC is not the most academic venue, but I'm not trying to get tenure or please those in the Ivory Tower. I want to publish something that I think is of great worth to readers and I'm having a devil of a time finding a Mormon publishing outlet. 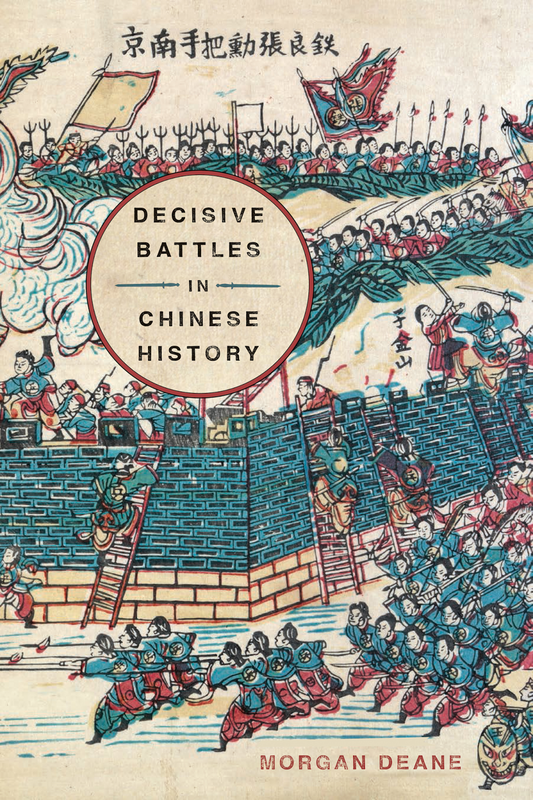 The study of Chinese battles faces many hurdles that include hard to pronounce names, different spelling systems, and a haze of impenetrable names, places, and ideas. Indigenous Chinese histories written by Confucians with an anti-military bias used rather laconic phrases to describe the battles that were then transmitted to Jesuit missionaries that shared the Confucian disdain for martial matters. The modern discipline of history developed in the West during a time of particular Chinese weakness and political division that lasted through many of the tumultuous events in the 20th century. This book overcomes those hurdles by covering the wide span of Chinese history from their semi mythical beginnings to the 21st century Chinese aggression in the South China Sea. Using the best of modern scholarship, with a keen eye for military history and strategy, the text penetrates the fog of Chinese history using an accessible writing style. Each chapter highlights an engaging battle that selectively focusing on unique Chinese characteristics including their major belief systems, ruling ideology, connection between technology and warfare, Chinese military theory, major political events and key rulers, their foreign policy with their neighbors, cultural developments, and their interaction with the West. 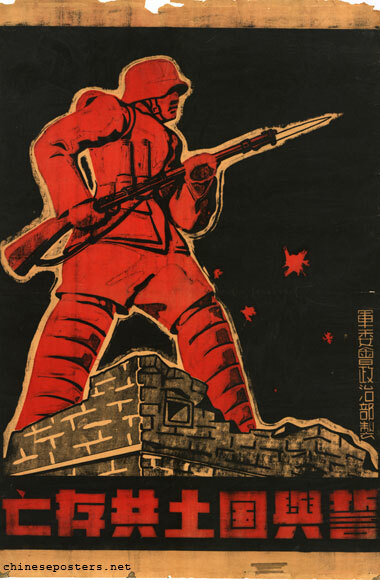 The text pushes back on a variety of ideas and stereotypes ranging from the Chinese use of gunpowder, their supposedly weak reaction to the West, the viability of the Dynastic Cycle in studying history, the context of their military theory, the exclusivity of martial and cultural spheres, and the uniqueness of Western imperialism. It offers a groundbreaking reassessment of Mao Zedong’s leadership and his impact on the development of guerrilla warfare. 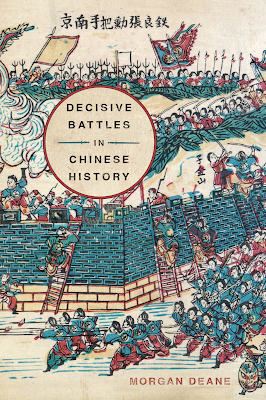 In world filled with disturbing reports of conflict and potential warfare, Decisive Battles in Chinese History offers a unique addition to students, historians, and anybody wishing to better understand Chinese history. I continue to publish with Opslens. My articles there have been picked up by Fox News and Washington Examiner . Combined with writing for Strategy and Tactics Magazine as well as Strategy Bridge, I'm excited for my writing future. On that note, I want to briefly introduce my next book. In a future post I might provide a book blurb or preview of a sample chapter. I am writing a book that discusses a World History of Battle at 400AD. The genesis of the project came from something I noticed. 378AD witnessed Tikal being overrun by Teotihuacan. In Book of Mormon chronology 378 covered the final Nephite battles for survival. In 378 the Romans lost at the Battle of Adrianople, which inaugurated the final chapter of their history. I started to look further and I thought the Battle of Badon Hill in the late 5th century was close enough to be considered, especially when it gives me the chance to examine what many think is the historical King Arthur. (If you read my first book you know that I used the words of British historian Gildas in discussing the behavior of Gadianton Robbers. So I'm already familiar with the sources of this age.) Speaking of being familiar, I have a whole book on Chinese battles, so its not difficult to re-purpose the chapter that covered the Battle of Fei River (383AD). I've been working on a sample Japanese chapter, and their history is rather sparse before the mid 6th century or so, except you can line up general trends with the Gwanggaeto Stele, which just happens to detail a war right at 400 AD! As you can see, this book provides a good chance to cover a variety of cultures and regions that aren't normally examined at all, let alone together in a volume. I'm particularly proud of my inclusion of Cree warfare, which I had to reconstruct from various sources. Each chapters looks at a particular battle and then considers the role of geography, technology, and culture in how they created armies and fought. Thanks for reading and I hope you get a chance to read my research! !